HTML Tutorials for beginners with CSS and HTML5. Learn HTML with HTML5 standards and examples. Html is very easy to learn. HTML contains tags and attributes used to build a webpage. HTML is browser interpreted language and need no compilation. HTML is a markup language, as it contains markup tags or tags. HTML Tags are used to build structure of a website including paragraphs, headings, tables, lists, buttons, forms, images, audio, video etc. HTML build the structure of web pages. It is also known as Building Block of a website. Browsers understand html tags and render content. HTML is Browser Interpreted language, thus load fast as compilation is not required. HTML can build Websites and emailers. World's First Web site was created in 12 Mar 1989 using html. There are 1.8 Billions websites on www. Archie was the first search engine. First image on web was published on 1992. China is no 1 on web surfers list. India is second country on most web surfers list. HTML was invented by a CERN scientist Tim Berners-Lee in 1989. The primary purpose to invent HTML was to share information on web for Research Scientists and Engineers so that other professionals in same domain can have access to your research work. Writing Books and Journals are only limited to some people. To run html, a web browser WorldWideWeb was developed, but later on it was renamed to Nexus. W3C is the organisation who build standards for the development of World Wide Web. W3C was founded by Tim Berners-Lee in Oct 1994. 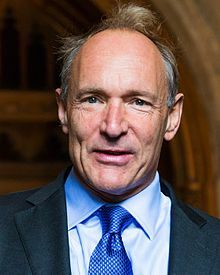 Tim Berners-Lee is also the current CEO of W3C. To check a webpage standards, we use W3C Validator. HTML was first formed in 1991. Till now, HTML receive many updates. Here is a list of HTML versions with release date. HTML Editor is the software used to write html code. A web browser is used to view webpage. Some Popular code editors are notepad++, brackets, sublime text , atom, and Visual Studio Code etc. You can use any one of them. To build a webpage using html, use following steps. These steps are based on HTML5 web standards. Just follow these simple steps, and your first html page is ready, with W3C Standards. Save page as index.html file on your system. Double Click the file and your webpage is live on browser. To edit webpage, right click on html file and select open in editor. In body tag, add some text, for example, Hello HTML. HTML Tags are used to build components in a webpage. Everything in a webpage is create by HTML Tags. Here are some popular HTML Tags and their use. <html> HTML Tag is the parent tag of a webpage. <head> Head Tag is first child of html tag and is used to write the information for web browsers and Search engines. <title> Title tag is used only once inside head tag. Title is always displayed in browsers tab. Title is also use-use full for search engines to know about the webpage. Its max character limit is 60-70. Title should be unique for every webpage. <meta> Meta tag is used to define the charset family, description, keywords, Author, robots and Geo Location of the website. <link> Link tag is used to link external css, favicon icon, publisher and canonical of the webpage. <body> Body tag is used to create the webpage structure. Structure includes Headings, Paragraphs, images, tables, division, etc of the webpage. Body includes all the content which users see on a website. HTML Atributes are used to add extra information to an HTML Element. Attributes are used in start tag. Only a single attribute is allowed once. Attribute repetition is not allowed. Here are some popular HTML Attributes. class group single or multiple elements. id Set unique id of single element. title Tooltip of an element. Shows title content on mouseover. type Specity type of html Elements. src Source of media elements like images, iframes, Audio, Video. href Hypertext Reference of Hyperlinks or Link Tag. HTML Comments are used to write messages or notifications for web developers. Comments are started with <!-- and ends with -->. These comments are not visible in browsers, but remain in page source code.